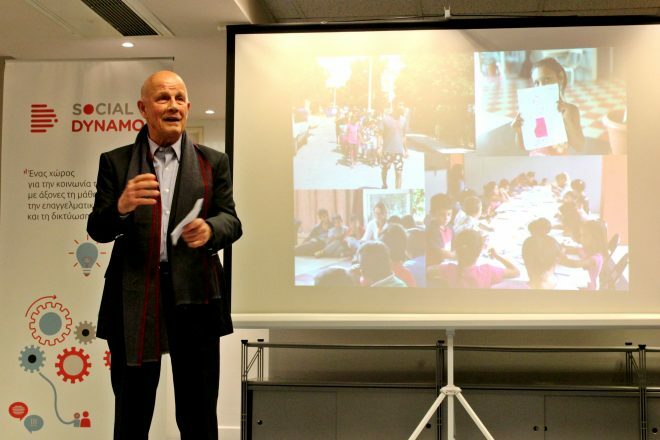 Social Dynamo is a space for civil society capacity building, oﬀering learning opportunities, professional support and networking to NGOs and groups of active citizens. It is a collaborative initiative between the Bodossaki Foundation and the City of Athens Municipality SynAthina team, based on their common vision of the importance of supporting active citizens and civil society initiatives. It consists of a both physical space in the centre of Athens and a virtual space, dedicated to developing the potential of NGOs and informal civil society groups. Just as a dynamo accumulates and transforms energy, so Social Dynamo aims to empower civil society actors to increase their social impact, through providing comprehensive capacity building support and networking opportunities. 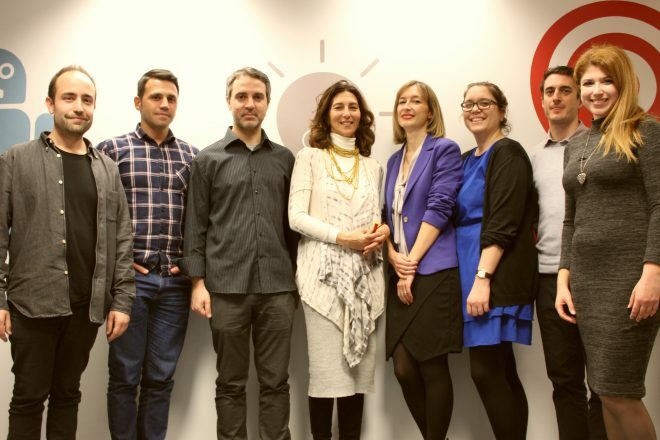 Learning opportunities: Social Dynamo oﬀers a diverse range of learning opportunities to civil society organisations and groups, as well as an e-learning platform that the Bodossaki Foundation has already developed as fund operator for the EEA NGO Grants Programme in Greece ‘We are all Citizens’. Professional support: Social Dynamo oﬀers professional support to civil society organisations and groups, through providing mentoring, consultancy and coaching. These services are provided by expert professionals, including from the Bodossaki Foundation’s pro bono network. The services cover a wide range of themes, including: ﬁnancial management, legal issues, fundraising, communications & marketing, and human resources management. Networking: Social Dynamo encourages networking and exchanges between formal and informal civil society actors and also functions as a meeting point for civil society, academia, and the private and public sectors, through hosting a variety of networking events on a regular basis. A co-working space: The physical space, in the center of Athens, is a creative space for co-working, which can simultaneously host approximately 10 civil society groups (selected through an open call) for an initial period of 6 months, with the possibility of extension. These hosted groups have priority access to the services offered by Social Dynamo, though these services are also open to the wider civil society. Social Dynamo’s space is also available to host events organised by civil society organisations and groups. 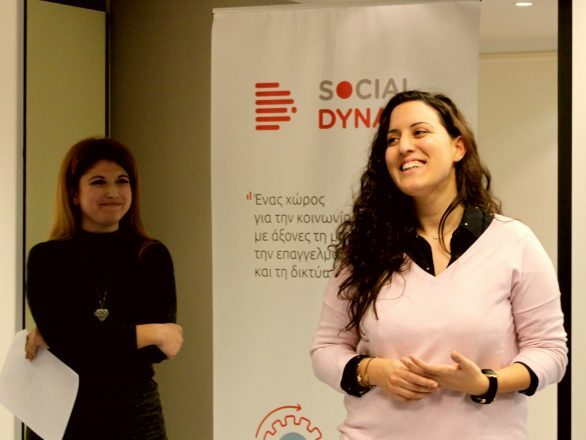 Social Dynamo also aims to be a dynamic and responsive hub for Greek civil society, sharing its news, shaping partnerships and promoting joint initiatives, all with the aim of strengthening civil society. A dedicated Social Dynamo website is available via the following link in Greek.